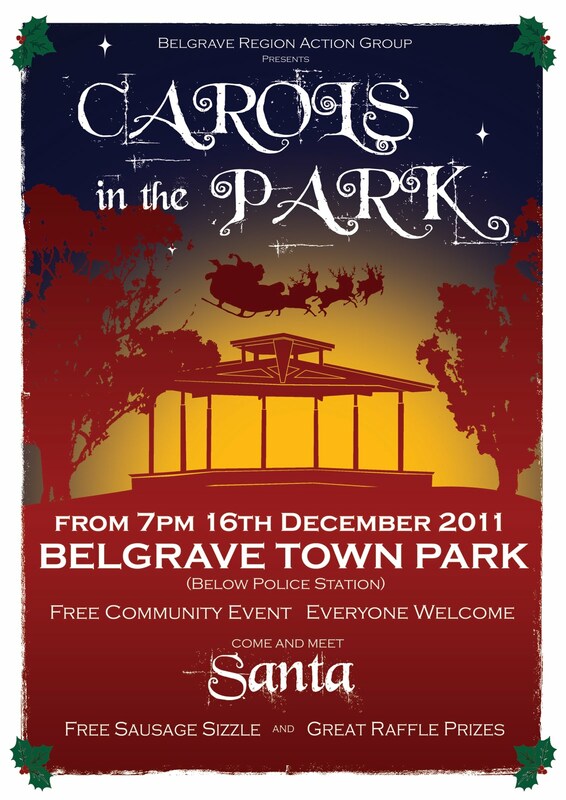 This Friday, 16 December, locals will be treated to Carols in the Park, organised by Belgrave Region Action Group. Local artists contribute their time for free and will lead off the performances of many a Christmas carol. I'm pleased to be able to sponsor the event and provide funding for the community sausage sizzle (and veggie burgers) so the food is free of charge. 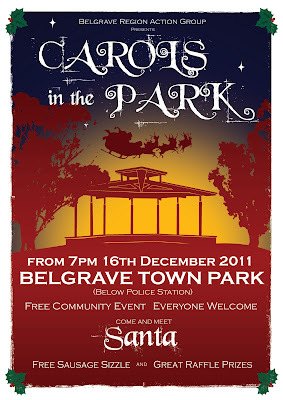 Looks like the weather will be warm, bring the family and your singing voice.